LUMBERTON, Texas (AP) — In the kitchen of his Hardin County home, Perry Viator filled and heated small bottles, while 6-month-old Hannah and Lucy hopped back and forth through the living room, their long tails sliding across the carpet behind them. He bent down to feed them the mixture of “Wombaroo” milk, scooping up Hannah and placing in her in a fleece-lined tote bag, where she happily settled in, her ears and noes poking out above the opening. 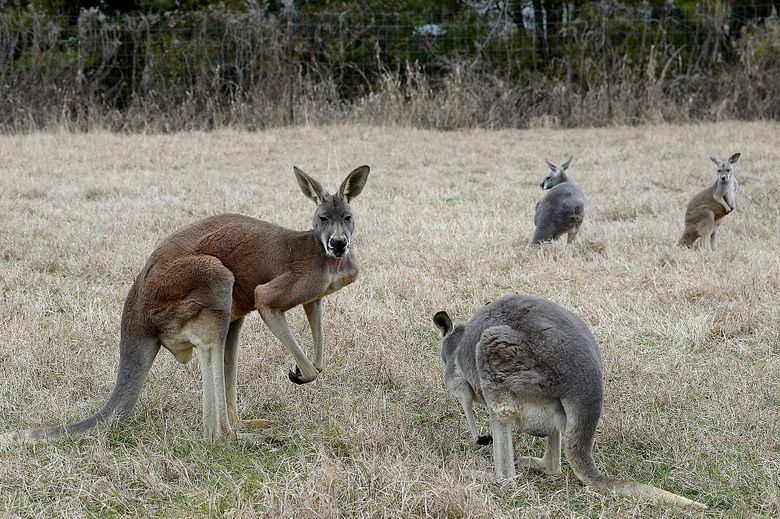 The Beaumont Enterprise reports the young red kangaroos are two of the 17 marsupials Viator keeps on his 12-acre property, along with several dogs, a miniature donkey named Rocky, and more than 55 red stag deer. 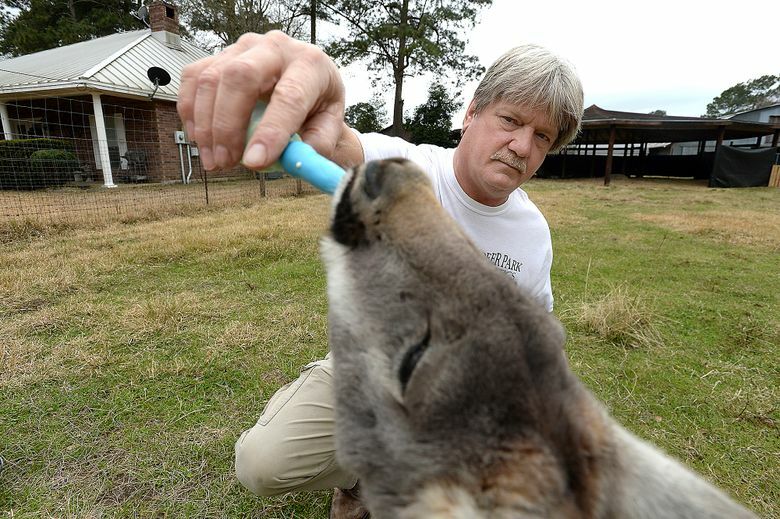 Viator, a U.S. Department of Agriculture-licensed breeder, has been selling exotic animals from his Lumberton home for 26 years. 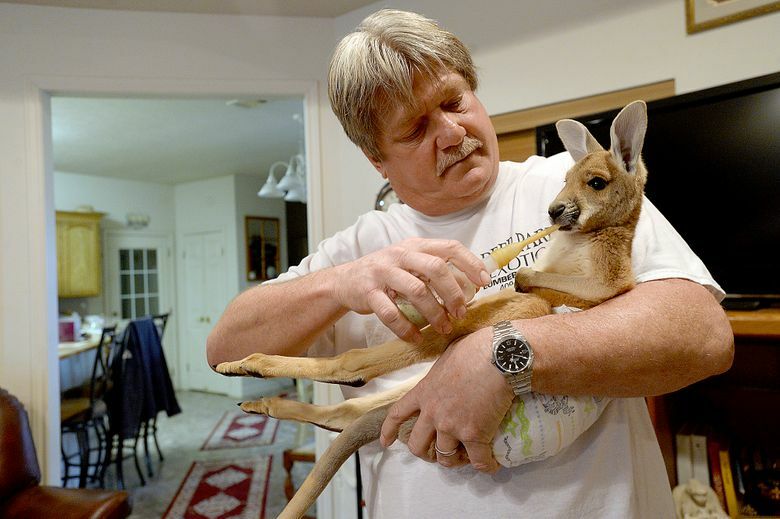 He bought his first kangaroo on a whim, while he was buying deer. “Then I thought, wouldn’t it be nice if he had a girlfriend,” Viator said. More than two decades later, he has two “mobs” — the term for a group of kangaroos. Sydney and Radar, his two adult male kangaroos, stand 6 feet tall upright, while the smallest joeys, Hannah and Lucy, named for her red fur like Lucille Ball’s hair, weigh less than 10 pounds each. Standing in his enclosed front yard, where he keeps Sydney and about five others, Viator calls to them by name. Taz, short for Tasmanian Devil, for her feisty personality, rolls around on the ground while Marilyn Monroo, one of his oldest, hops over to greet Viator. In mid-January, for the first time since he started raising kangaroos, one escaped. Ruby Roo slipped through a gate accidentally left open and took off, making her way into Kountze before she was caught and returned. She had to be tranquilized and brought back, Viator said, but by the next day, was recovering from her adventure. “She was upset and spooked with everybody chasing her,” he said. 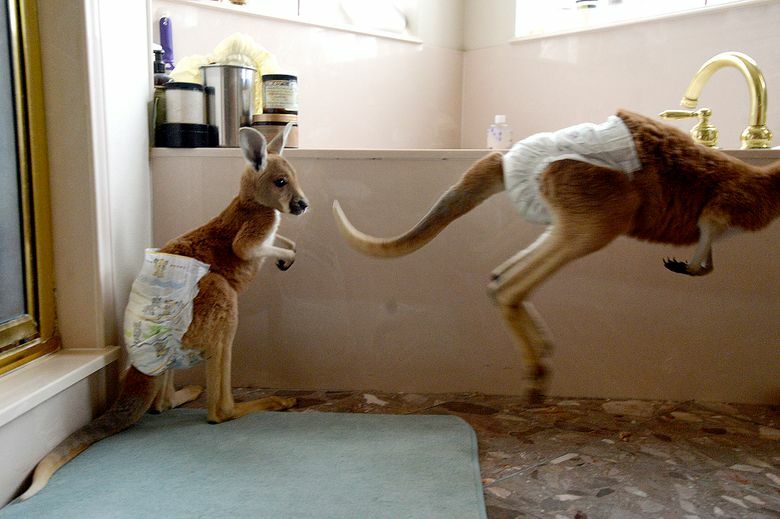 Typically, the kangaroos are calm and willing to approach people, he said. He breeds them, bottle-feeding the joeys when they’re young to get them accustomed to people, and sells them, often to petting zoos, wildlife parks and entertainment companies. He said he’s sold them to just about every state, and frequently to Canada. 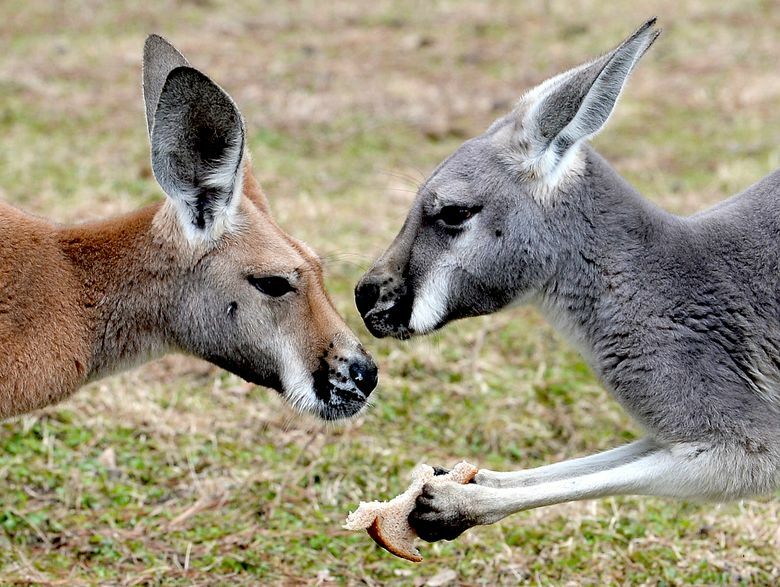 Some states have restrictions on exotic pets like kangaroos. Others, including Texas, don’t. Buyers often keep in touch, keeping him updated on the animals’ escapades, which have included television appearances and movie cameos. Prices range from about $1,500 to $5,000 for the “bottle babies,” he said. The joeys “make the best lap dogs,” he said. Inside, Hannah and Lucy have a dog bed, watch movies with Viator and his wife on the couch, and wear diapers when they’re not in the yard. When he opens the gates to their pens, the kangaroos hop over to him, hoping for a treat. Caring for the mobs, along with the rest of the menagerie, adds up to a full-time responsibility on top of his job at Newtron. “They’re just like any other animal, if you leave them alone, they’ll be wild, you have to interact with them for them to be tame,” he said.